Highlanders edged Nichrut 1-0 in front of a packed Barbourfields Stadium on Sunday afternoon. FC Platinum and CAPS United also registered wins while Shabanie Mine drew 1-1 against Mutare City. 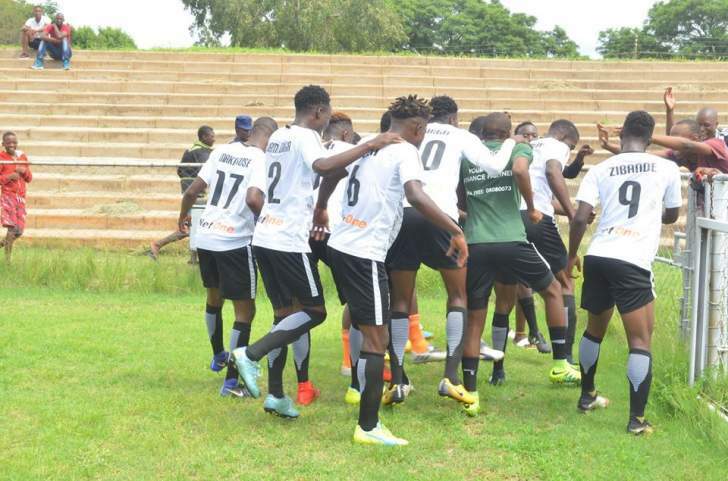 Godfrey Makaruse scored the all-important goal for Bosso eight minutes into the second half. The home team had dominated the first period but failed to break the deadlock. Goalkeeper Ariel Sibanda made two crucial saves which denied Nichrutan opener a few moments before Makaruse's goal. They are now in the third position on the log with 13 points, two behind leaders Ngezi Platinum. FC Platinum is second, also with13 points but separated from Highlanders due to a better goal difference. The Pure Platinum Play beat Chapungu 2-0 in a match played at Ascot Stadium in Gweru. Ali Sadiki opened the scoring on the 65th-minute mark before Gift Mbweti doubled the lead fifteen minutes later. At National Sports Stadium, Denver Mukamba was the star of the day when he inspired CAPS United to a 2-0 win over Herentals. Mukamba created the first goal which was scored by Nigeria international Abasarim Chidiebere in the 3rd minute. Just after the half-hour mark, the 25-year-old midfielder beat his markers in the box before slotting home to seal the victory which moved them to fifth place. Mukamba was subbed off in the second half, making way for Oscar Machapa who made his first league appearance for the Green Machine since rejoining the club this year. In Zvishavane, Evans Chikwaikwai put Mutare City in front 15 minutes into the game before Trevor Ajana equalised for Shabanie two minutes later.